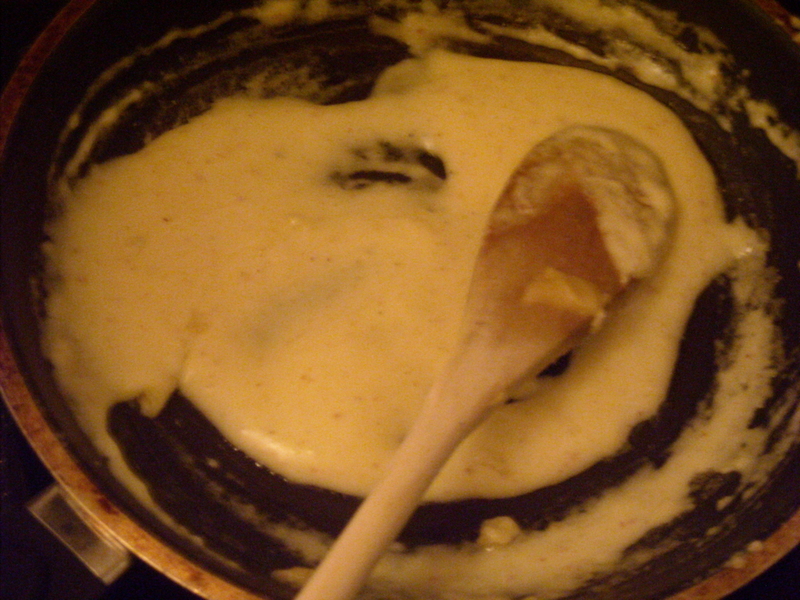 Mrs Beeton recommended Cream Sauce. Natürlich. INGREDIENTS: 1/3 pint of cream, 2 oz. 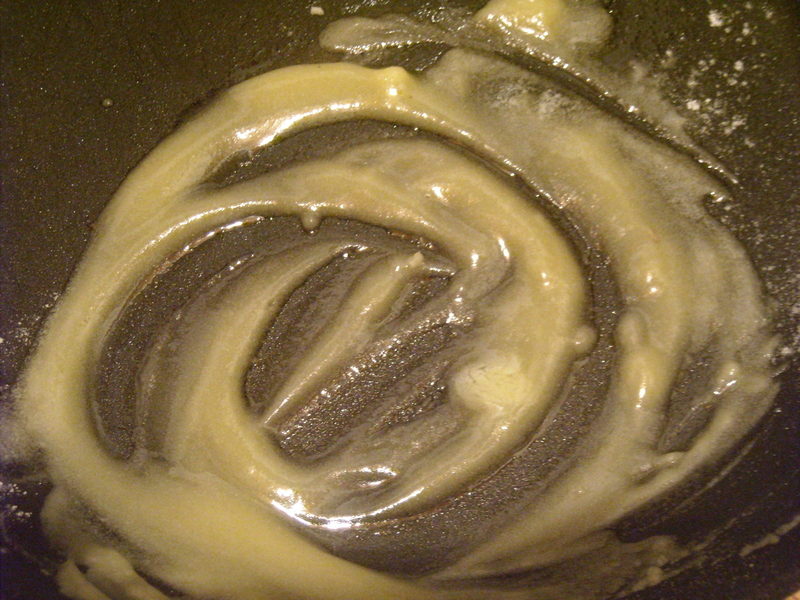 of butter, 1 teaspoonful of flour, salt and cayenne to taste; when liked, a small quantity of pounded mace or lemon-juice. As an ardent fan of anything with cream (whipped cream, sour cream, regular cream, thickened cream, strawberries & cream minus the strawberries…), for once I knew he wouldn’t protest at me slathering the sauce on his meat. 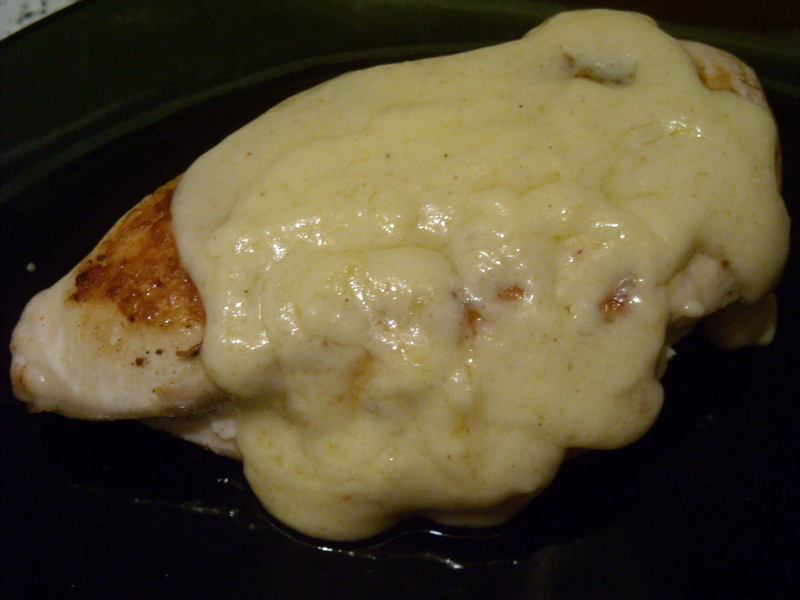 It’s a very quick sauce to prepare – it was ready in just over 5 minutes. Towards the 5-minute mark it really began to thicken and take on the consistency of melted cheese, so I had to be careful not to let it boil too long and thicken too much. This sauce’s simplicity is one of its greatest selling points. The fact that it doesn’t overwhelm the main dish is also a bonus. This entry was posted on February 21, 2010 at 8:05 am and is filed under food. You can follow any responses to this entry through the RSS 2.0 feed. You can leave a response, or trackback from your own site.